The determination of actinides in environmental soil and sediment samples is very important for environmental monitoring as well as for emergency preparedness. A new, rapid actinide separation method has been developed and implemented that provides total dissolution of large soil samples, high chemical recoveries and effective removal of matrix interferences. 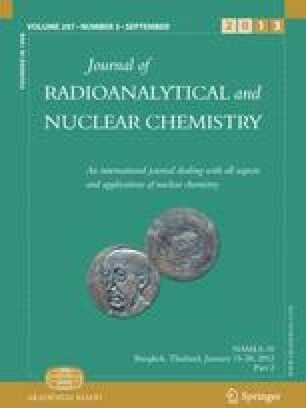 This method uses stacked TEVA ResinÒ, TRU ResinÒ and DGA-ResinÒ cartridges from Eichrom Technologies (Darien, IL, USA) that allows the rapid separation of plutonium, neptunium, uranium, americium, and curium using a single multi-stage column combined with alpha-spectrometry. The method combines a rapid fusion step for total dissolution to dissolve refractory analytes and matrix removal using cerium fluoride precipitation to remove the difficult soil matrix. By using vacuum box cartridge technology with rapid flow rates, sample preparation time is minimized.